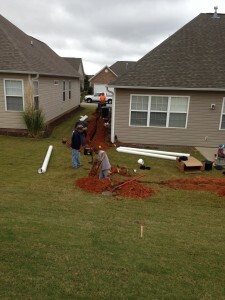 Our customer from Greenville, South Carolina, called to have a drainage systems installed. They knew about Cochran Landscaping because we installed an irrigation systems for them years ago and were pleased with our work. They called us saying that after a storm they had standing water in their backyard and it needed to be drained as soon as possible. 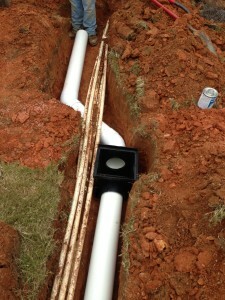 We installed a drainage system that cleared all of the water. They said that we did a nice job and the work was clean and completed in a timely fashion. 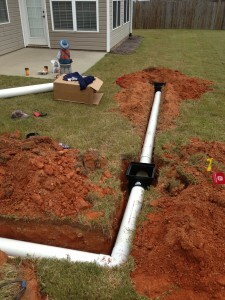 Our customer said, “the new drainage works great!” To see our work, check out the photos below! For more information on Cochran Landscaping, your #1 landscaping company, click here!